Aaron Sorkin has been confirmed to adapt the screenplay for the Sony Pictures movies biopic based on Walter Isaacson's best-selling biography of Apple founder Steve Jobs. 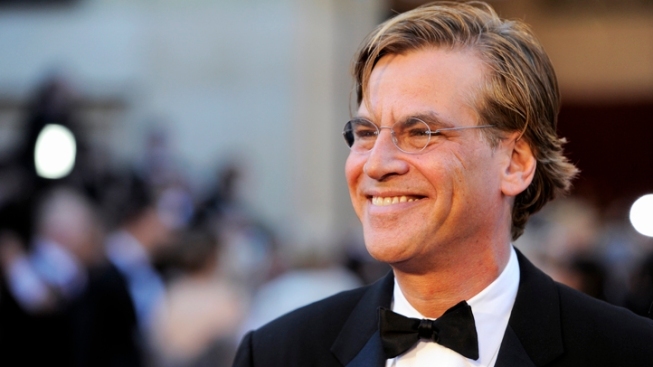 Aaron Sorkin is heading from Facebook to Apple. Sony Pictures honchos say the Oscar-winning writer will write a screenplay based on the best-selling Walter Isaacson biography of tech giant Steve Jobs, who passed away last October at the age of 56. Sony Pictures co-chairman Amy Pascal says Sorkin's script will be "everything that Jobs himself was: Captivating, entertaining and polarizing." Sorkin won the adapted screenplay Academy Award for 2010's "The Social Network," a drama about the origins of Facebook. The 50-year-old writer was nominated in the same category for 2011's "Moneyball," starring Brad Pitt as real-life Oakland Athletics general manager Billy Beane. His other credits include "Charlie Wilson's War" and "A Few Good Men." He also created TV's "The West Wing," a popular dramedy about the professional and personal trials of a fictional White House staff. Actor Ashton Kutcher is set to play Jobs in a separate project, which began shooting this month.